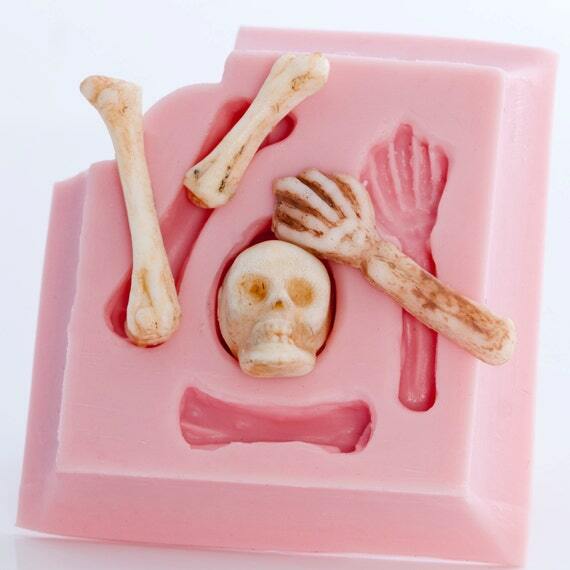 11 Super Spooky Halloween Baking Molds that Will Go Down a Treat! 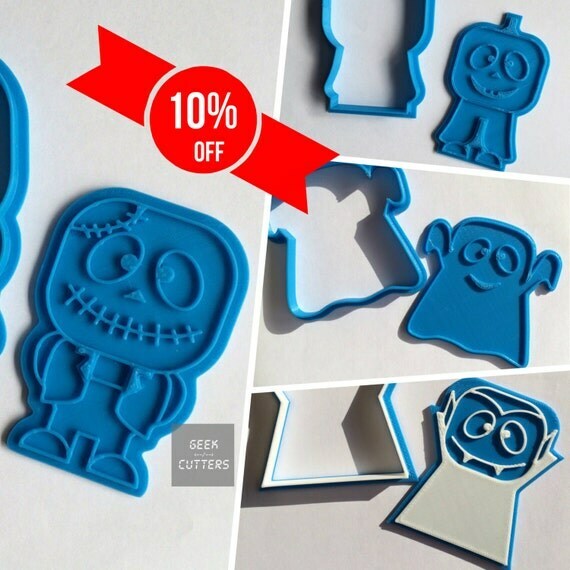 Using these Halloween baking molds and cookie cutters you’re going to be able to make homemade cakes and candies that will go down a treat! We love making cookies and cupcakes but we don’t have any Halloween baking molds yet, and since my little girl is already getting in the Halloween spirit I thought I’d see what was available. I was surprised to find that Etsy had a better selection of molds and cutters than Amazon this year, and at really good prices too. Some of the cutters are made with 3D printers so they take a while to ship so it’s better to order them early! 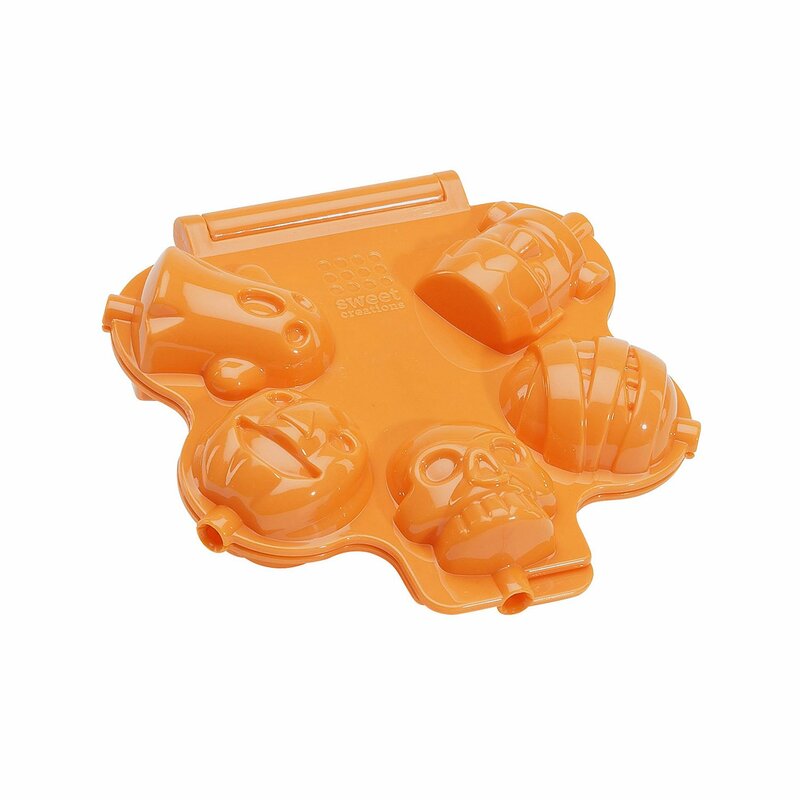 We want to decorate cupcakes and make Halloween cookies so I was looking for silicone baking molds as well as cookie cutters. 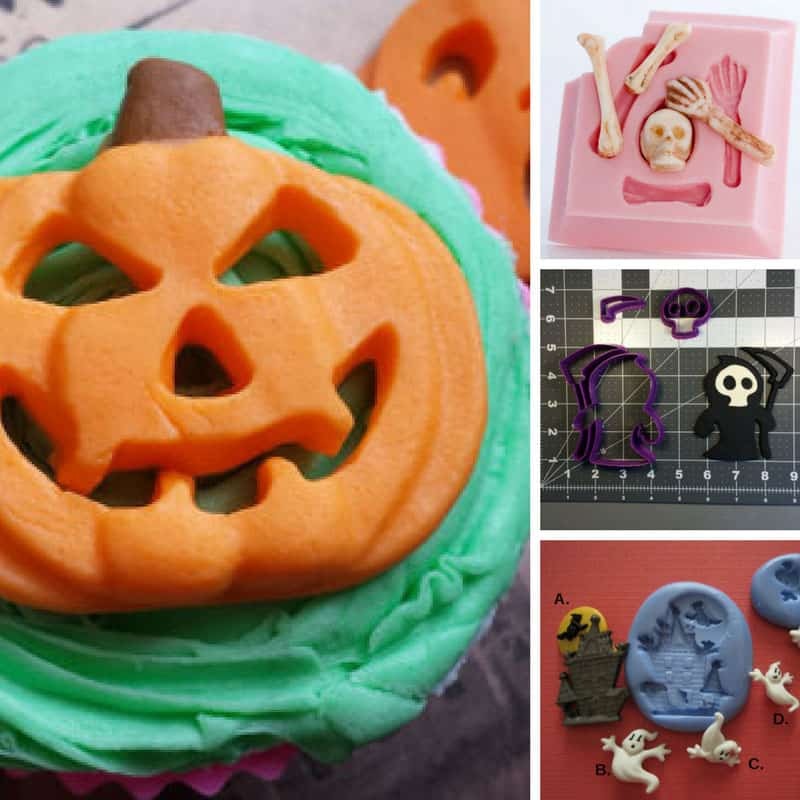 I love how flexible the silicone molds are because you can also use them with polymer clay to make Halloween decorations. 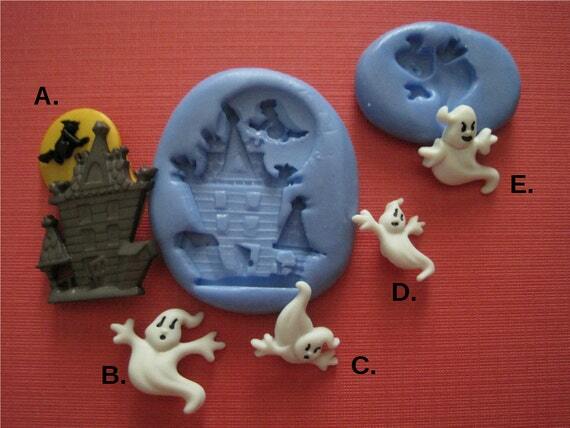 I love the cute ghost mold, and the witch fingers but my favourite one has to be the tombstone with the skeleton peeking over! 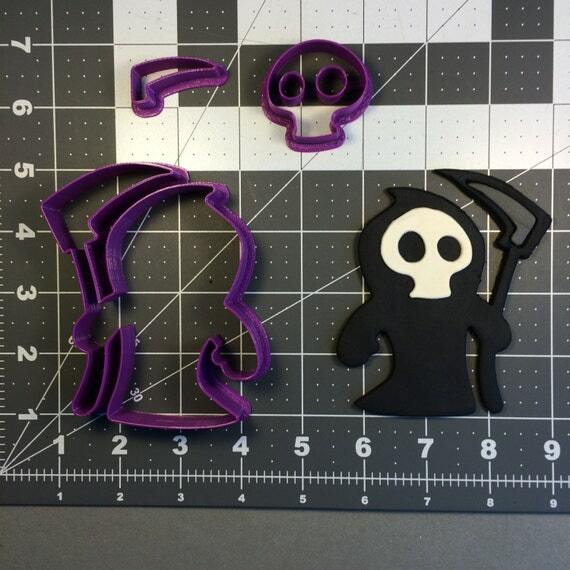 Love this Grim Reaper cookie cutter! He comes in a range of sizes from 2 inches through to 5.5 inches tall. He’s be great for cutting out cookies, or fondant icing to decorate a Halloween cake! There are four adorable cutters in this collection: Drakula, Frankenstein’s monster, a ghost and a pumpkin! 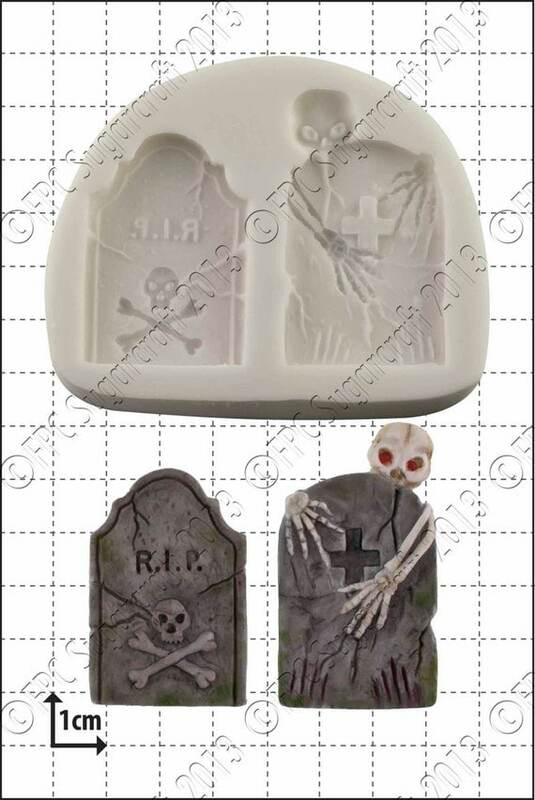 OOh how spooky are these tombstones! I love that skeleton peeking over the top! 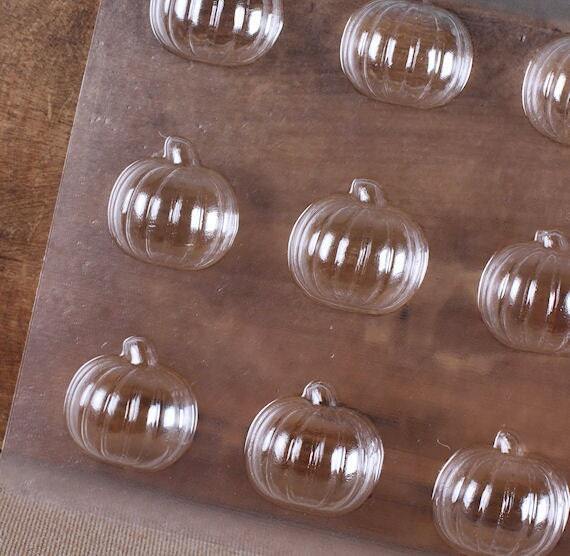 These are perfect for making decorations for your Halloween cupcakes, but you can also use them to make decorations out of clay or even Halloween soap! 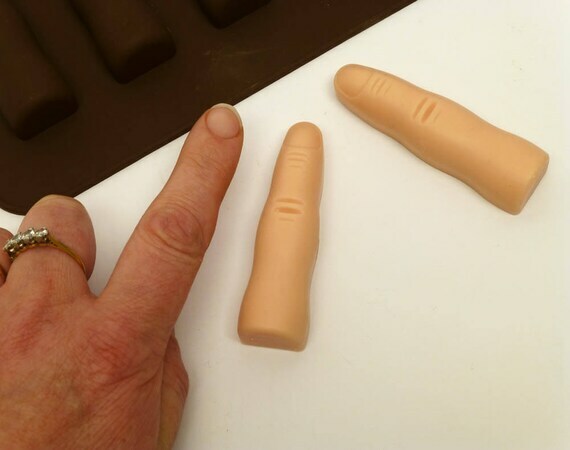 These finger molds can be used to make lifelike fingers out of chocolate, or cookie dough, or even fondant icing! Love these jack o lantern pumpkins! 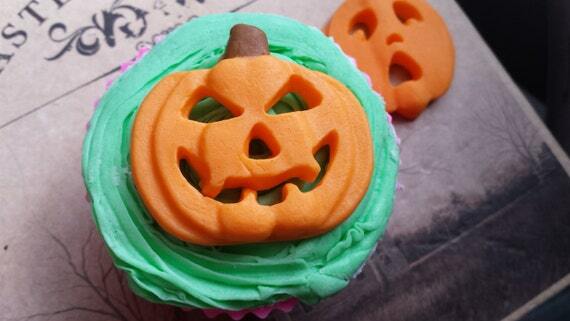 They make the perfect spooky topper for a Halloween cupcake! I think your Halloween cake would look super spooky decorated with this haunted house and family of ghosts! Here’s a super easy idea for a Halloween treat. 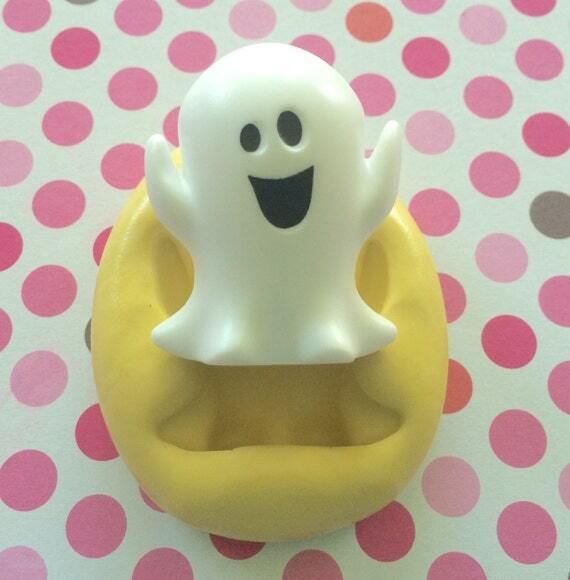 Use this mold to make little pumpkins out of chocolate and then put them on top of an OREO cookie! Love this skull and bones combo! You could make these out of fondant and use them to decorate cupcakes or even the party table! If you’re throwing a party for toddlers or preschoolers then this little guy is perfect for decorating cakes because he’s about as unspooky as a ghost can get! Here’s a super fun mold if you like making cake pops! It has five heads so you can make Frankenstein’s monster, a mummy, a skull, a pumpkin and a ghost! Wow! 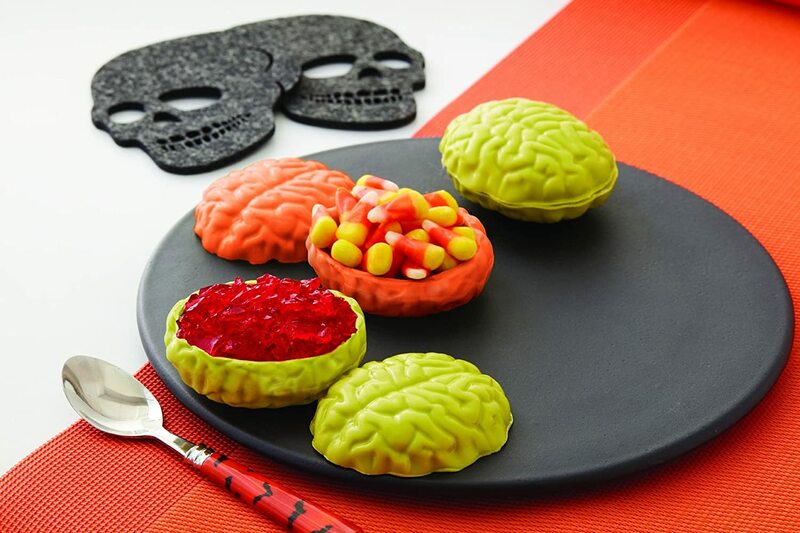 Use this mold and you can make edible candy bowls that look just like brains!